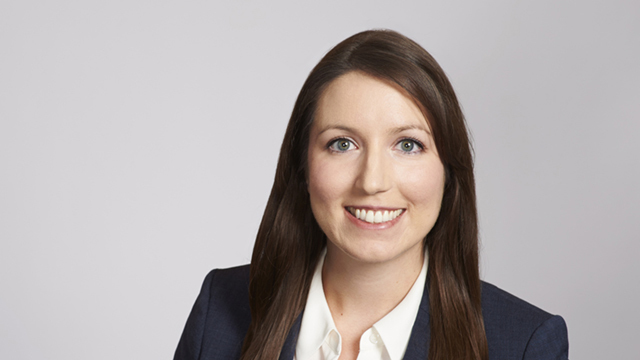 Alyson Frankie is a pension and benefits lawyer in Hicks Morley’s Toronto office. She assists clients with ongoing pension plan administration and governance as well as plan mergers, wind-ups and corporate transactions. She also has experience advising on tax issues related to compensation and benefits. Alyson’s advice on pensions, benefits and executive compensation is informed by her background in labour relations and human resources management. She earned an Honours Bachelor of Commerce degree and a Master of Industrial Relations degree from Queen’s University and previously worked at a public utility and one of Canada’s largest banks. Alyson graduated from the Faculty of Law at Queen’s University. While in law school Alyson received the course prize in pensions law and was recognized at graduation for academic excellence and student leadership in labour and employment law.